Front Row (Left to Right): Drs. L.C. Dunn, Columbia Univ. ; V. Hamburger, Washington Univ. ; W.H. Lewis, Carnegie Inst. ; M.G. Brown, Washington Univ. ; R.L. Risley, State Univ. of Iowa; L. Walp, Marietta Coll. ; C.L. Schneider, Harvard Univ. ; R.S. 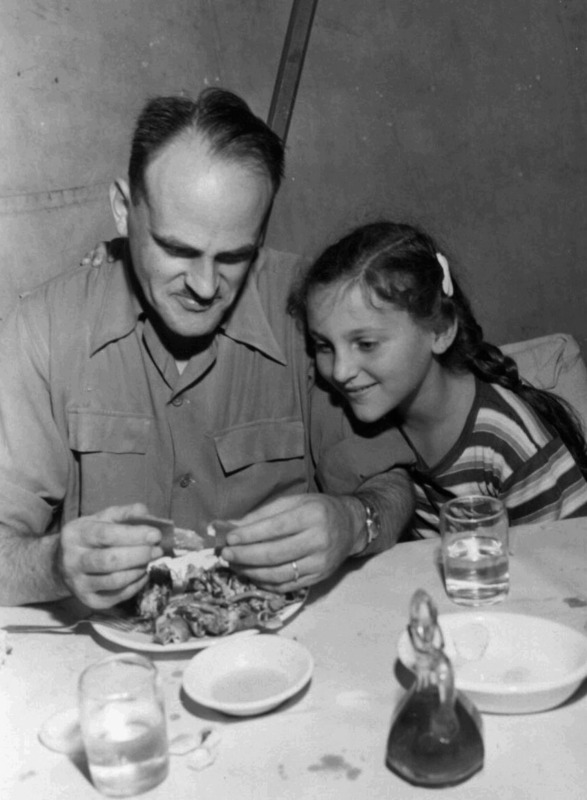 Childs, Columbia Univ; E. Brill, Harvard Univ. ; R. Gillette, Washington Univ. Second Row: Drs. L. Loeb, Washington Univ. ; W.F. Dove, Univ. of Maine; T.B. Steele, Lankenau Hosp. Res. Inst. ; Mrs. L.G. 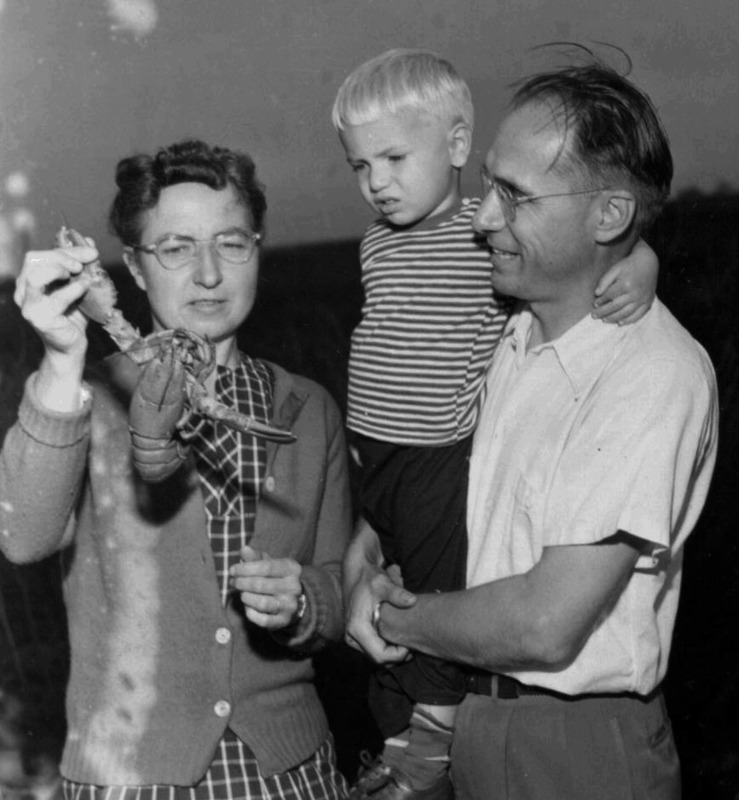 Barth; Mrs. J. Needham; Dr. Florence Peebles, Chapman Coll. ; Mrs. A.B. Dawson; Dr. F.S. Hammett, Lankenau Hosp. Res. Inst. ; Mrs. L. Loeb; K. Hyde, Lankenau Hosp. Res. Inst. ; Dr. Louise P. Wilson, Wellesley Coll. ; Julia Outhouse, Univ. of Illinois; Myrtle McGraw and Mrs. Dammann, Columbia Univ. Third Row: Drs. P.W. Gregory, Univ. of California, Davis; C. Deuber, Yale Univ. ; H. Dorsey, Univ. of Connecticut; P. White, Rockefeller Inst. ; E.W. Sinnott, Columbia Univ. ; P.A. Weiss, Univ. of Chicago; A.B. Dawson, Harvard Univ. ; R. Grant, McGill Univ. ; O. Rahn, Cornell Univ. ; R. Aronson, Lankenau Hosp. Res. Inst. ; H.S. Burr, Yale Univ. ; C.H. Waddington, Cambridge Univ; N.J. Berrill and G.H. Sander, McGill Univ. Back Row: Drs. J.W. Wilson, Brown Univ. ; L.B. Clark, Union Coll. ; L.G. Barth, Columbia Univ. ; K.V. Thimann, and L. Hoadley, Harvard Univ. ; A.D. Mead, Brown Univ. ; N. Padis and S.P. Reimann, Lankenau Hosp. Res. Inst. ; J. Needham, Cambridge Univ,; O. Glaser, Amherst Coll. 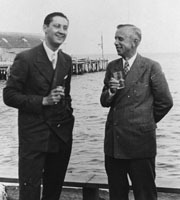 ; G. Toennies and B. Miller, Lankenau Hosp. Res. Inst. ; J.F. Daniel, Univ. of California, Berkeley, G. Schotte, Amherst Coll. ; J.H. Woodger, Univ. of London; C. Stern, Univ. of Rochester; G. Smith, Yale Univ. 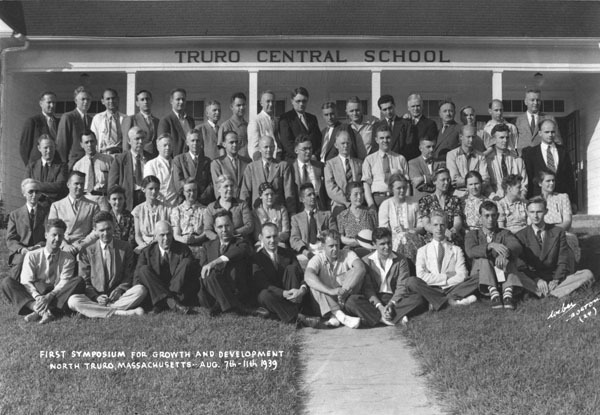 The first symposium on Development and Growth was sponsored by the editors of Growth, and it was held in August 1939, at North Truro. 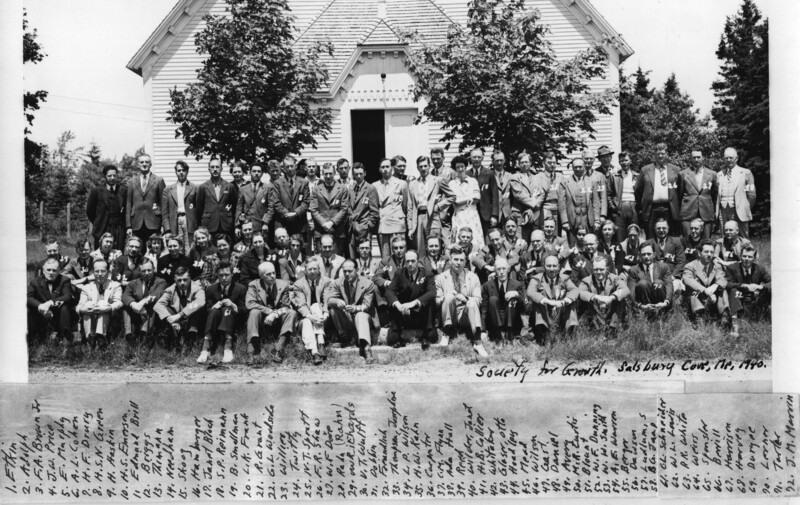 The meetings were held in the small village schoolhouse; at each session, morning and afternoon for five days, a single talk was the main intellectual sustenance, and the remainder of the time was spent on discussion--what happy days were those! 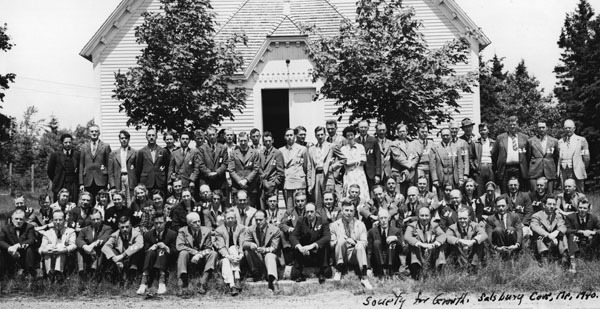 The Society was organized as a result of the success of that first meeting, about whose content more will be said later, and symposia have ben held annually since, except during the war years 1943 and 1944 and in 1950 when all members of the Society were invited to attend the Seventh International Congress of Cell Biology that met in New Haven in September. 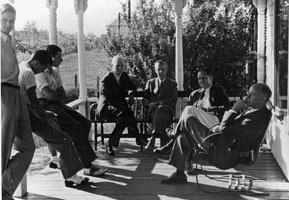 The symposium held in North Truro in 1945 was the only one for which the papers were not published; their titles and authors are, however, listed in a cumulative index included in the fifteenth symposium volume. The meetings of what we are in the habit of calling the Growth Society have always been distinguished by a special conviviality. 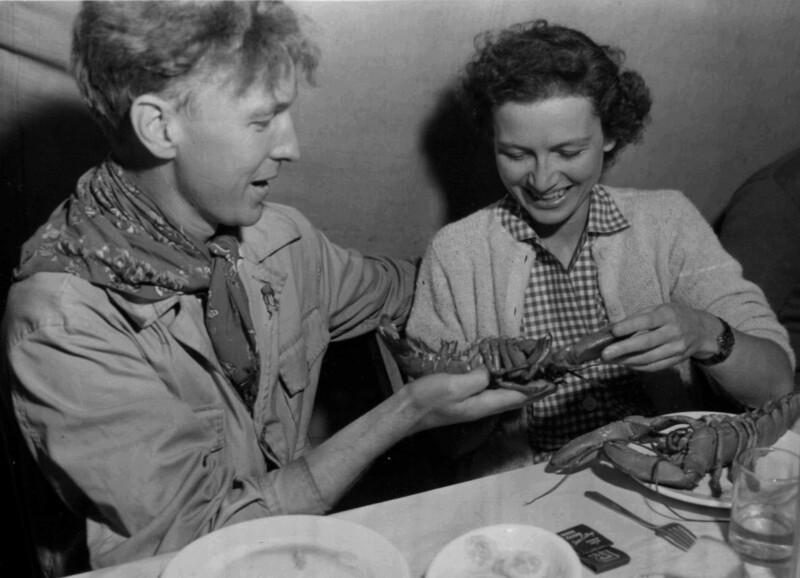 The first seventeen were held in New England, where Homarus americanus finds its most favorable environment, and lobster dinners, especially at the North Truro meetings, but often elsewhere too, were particularly felicitous occasions. The papers in the first symposium were all rather closely related to what in the old days might have been called embryology. This was not to be true for long. 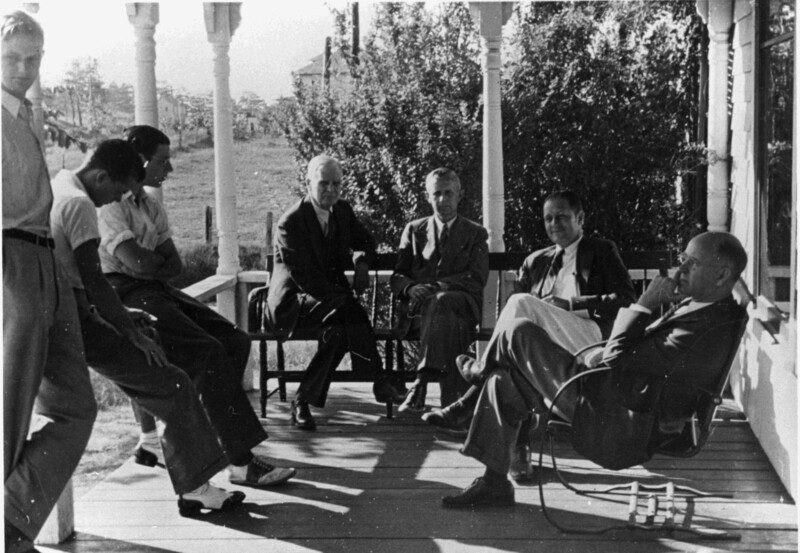 As early as 1940, in the second symposium, every paper dealt with an aspect of what we would call molecular biology (a phrase which, by the way, was already in use in 1939, as we shall see). 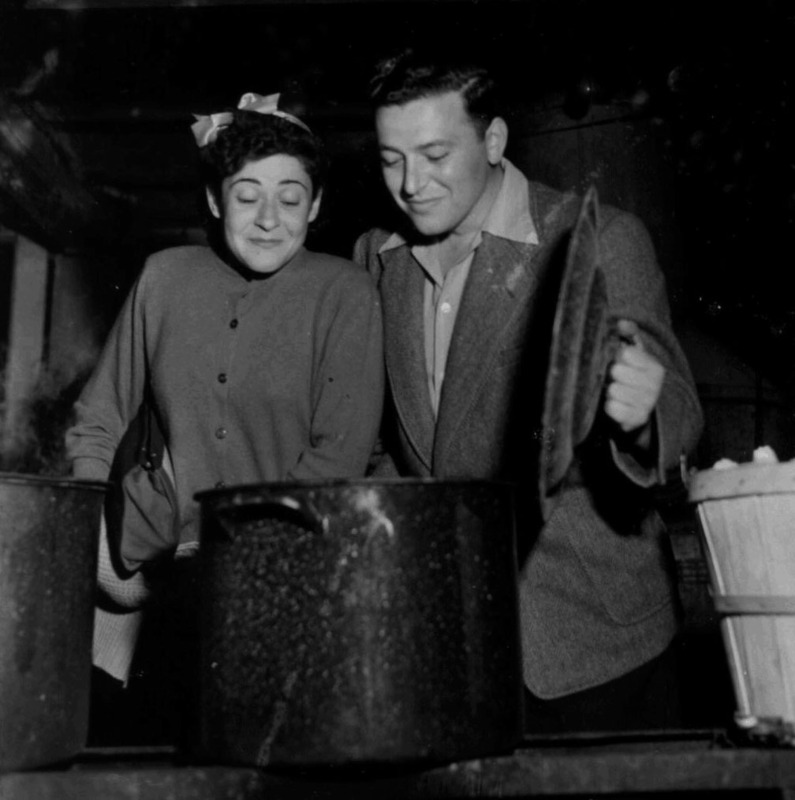 Although most of the speakers (including the philosopher) addressed themselves to the examination of chemical or physical factors in specific relationship to growth and development, O.L. Sponsler in his talk on proteins, and Rudoph Schoenheimer in his on the synthesis of protoplasmic constituents, made no direct reference to development (at least according to the printed record; only a 3 1/2 page abstract of Schoenheimer's paper was published). Schoenheimer? What was he doing there? His book was not published until the following year. He was surprised himself, I have it on good authority, to have been invited. The reason for his invitation is a clue to the success of the Society: the officers who asked him to come could see the applicablility of his work to developmental biology. "Genetics and the study of development have converged during the intervening quarter-century, together with the study of molecules and macromolecules; of proteins, enzymes, nucleoproteins and others; of cells and organelles; of metabolic pathways and immune reactions; of microbes and protozoans and fungi. Their convergence has transformed biology." -Jane M. Oppenheimer, "The Growth and Development of Developmental Biology"